Carolina Padilla and Kim Hall. Each weekday, the Intercultural Senior Center welcomes between 60 and 100 of Omaha’s seniors, who represent all parts of the globe. 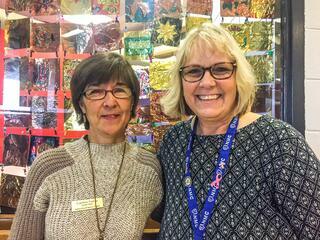 Here the seniors can choose from culturally supportive social services, educational programs and wellness activities. Carolina, a native of Guatemala, says her inspiration to open the center in 2009 was based in both love and loss. Carolina, only six when her mother died, was raised by her aunts. After coming here with them 25 years ago, she saw firsthand the barriers that can keep immigrant seniors from staying healthy and feeling valued and vibrant. Now, on a typical morning at the Intercultural Senior Center, seniors may be dancing in a Zumba class, taking English and citizenship classes, learning computer skills, joining in a mental health support group, meeting with a social worker or using services from any of a dozen community and educational partners — including Nebraska Methodist College. Alyssa Houston, Kim Hall, Angelo Andal, Ashley Olson, Garang Lual and Kevin Kirshenbaum. 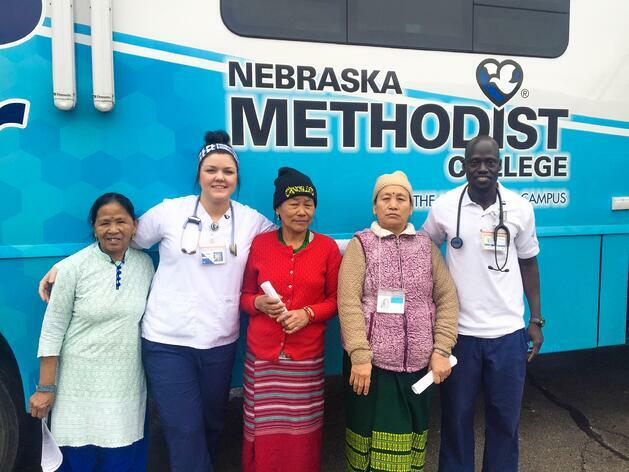 For the past half dozen years, Nebraska Methodist College has brought its Mobile Diabetes Center (MDC) to the Intercultural Senior Center. The MDC is 38-foot-long, custom-built RV with amenities that include a wheelchair lift and three rooms for diabetes screening, foot care and examinations. 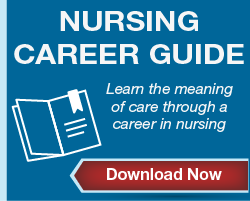 Here, Nebraska Methodist College students and staff provide non-diagnostic screenings, education and referrals as part of the service learning interwoven into their community-based curriculum. Recently, the MDC spent a day at the Intercultural Senior Center. Kim Hall, MSN, RN, NC-BC, an NMC assistant professor of nursing, and five junior-year nursing students provided diabetes screenings and education with the assistance of interpreters. 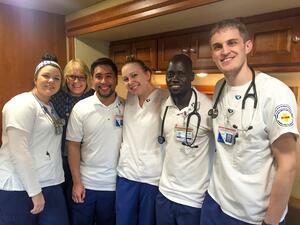 It was a win-win that benefited the students’ nursing education and the community these future nurses serve. Angelo Andal provides a diabetes screen. Carolina explains that the diabetes screenings NMC provides help them know which seniors may need more attention, and then social workers can help those seniors follow up with their health care providers or help them find a physician if they need one.